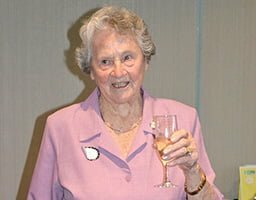 West Ryde identity Elizabeth (Betty) Wilkinson celebrated her 90th birthday recently with a High Tea and birthday party at Ryde Eastwood Leagues Club. 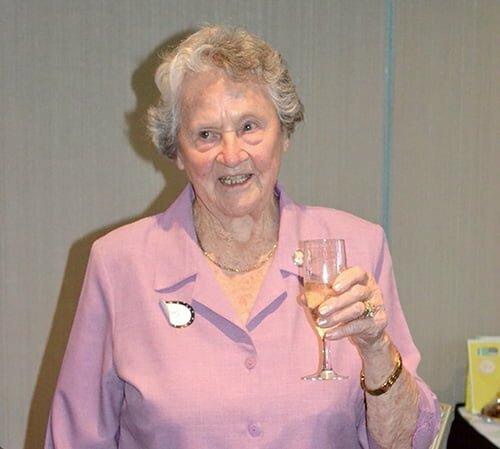 Betty (pictured below) was joined by 20 of her friends for lots of laughter and conversation at the High Tea on November 13 before celebrating her actual birthday – November 14 – the following day with 80 family and friends in the Ryde Eastwood Leagues Club function rooms. 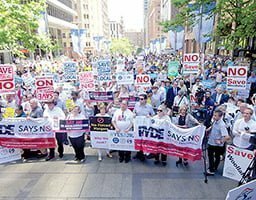 Family travelled from Barcelona/Spain, Austin/ Texas, Perth, Adelaide, Melbourne and many from Sydney. Betty was joined by three of her siblings – the four remaining siblings were ill and unable to travel from New York and Ireland. Three of Betty’s children attended with ten grandchildren and six great grandchildren. 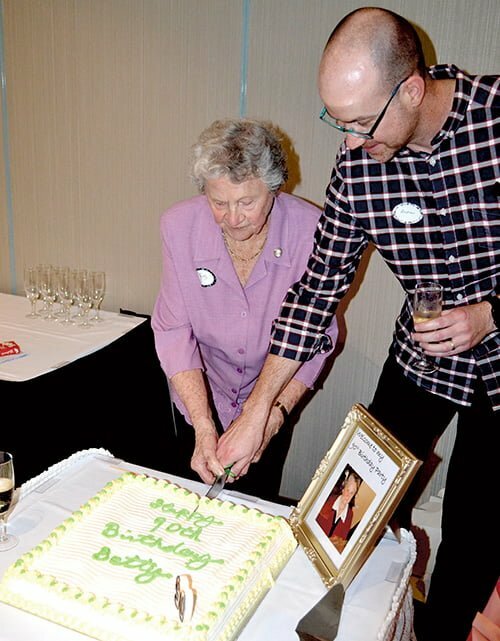 Betty joined with her grandson Andrew (who also shares a November 14 birthday) for the cutting of the cake, pictured right.